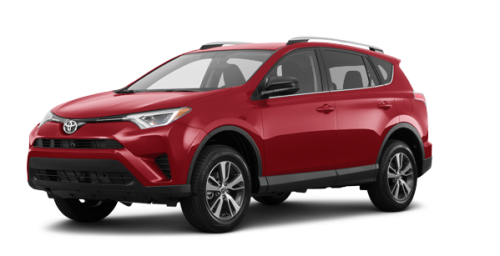 Red ruby pearl, galactic aqua mica, white alpine... the 2018 Toyota RAV4s for sale in Montreal shine with all their lights on the road to the bucolic landscapes of the South Shore or to the industrial parks of Saint-Laurent and Châteauguay. 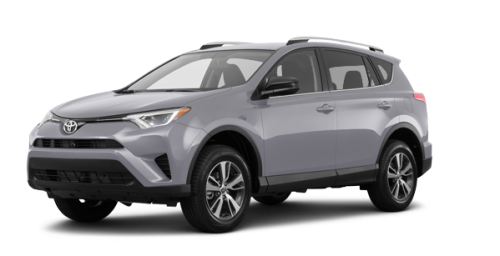 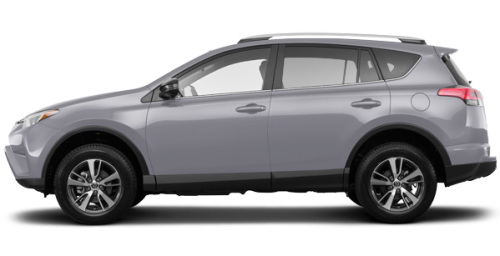 The 2018 RAV4 models have the spirit, strength and joy that come with a comfortable, safe and well-equipped sport utility vehicle. 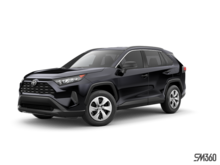 The 2018 edition of the new RAV4s near Laval is available in 9 trims: FWD LE, AWD LE, FWD XLE, AWD XLE, AWD SE and AWD Limited, to which must be added the 3 models of the 2018 Toyota RAV4 hybrids: the LE+, the SE and the AWD Limited. 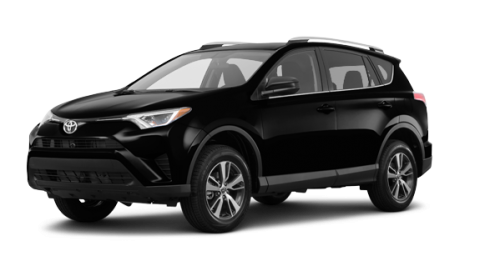 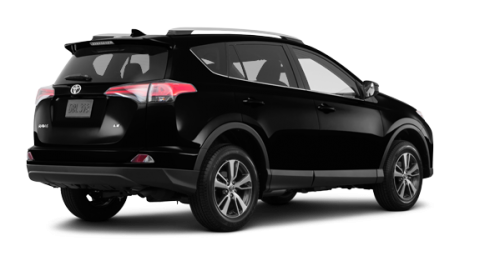 If you are dreaming of buying a 2018 Toyota RAV4, you should consult a Spinelli Toyota advisor. 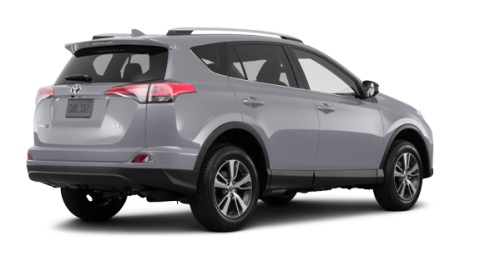 He will explain all about the Toyota financing program and our ongoing Toyota promotions. 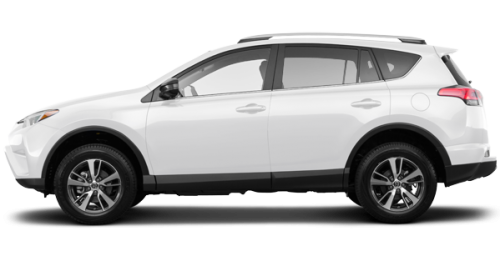 These two tools can facilitate the financing of your new acquisition without unduly mortgaging your budget. 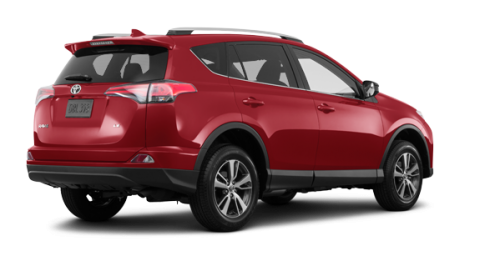 Like all Toyota sport SUVs, the 2018 RAV4 models are remarkably energy efficient. 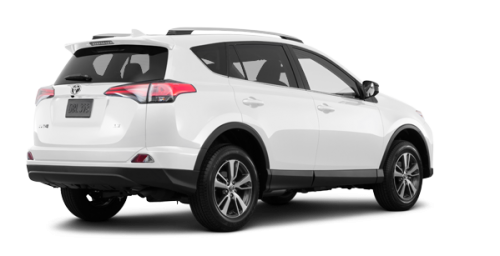 Whereas RAV4 front-wheel drive models have a 10.0/7.8 (city/road) consumption rating (liters/100 km), and whereas that of all-wheel-drive models is 10.7/8.4 (city/road), the 2018 RAV4 hybrid model rating is only 6.9/7.8 (city/road). 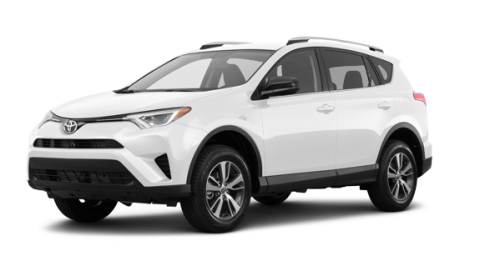 To get a better idea of the various new RAV4s near Laval, come to Spinelli, your Toyota dealer par excellence in Lachine. 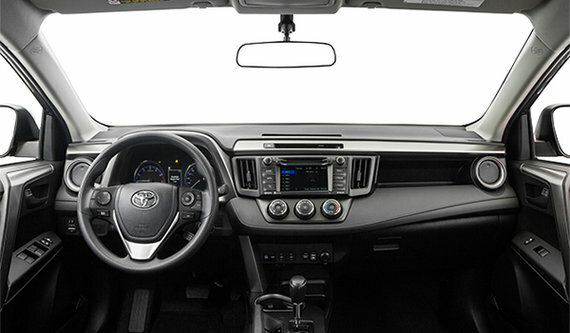 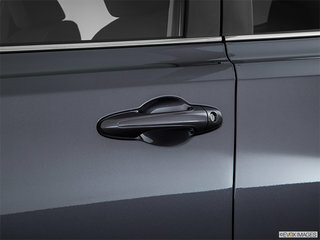 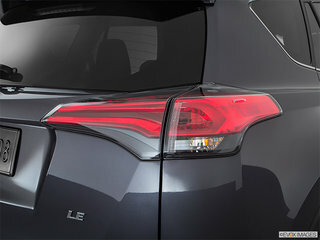 Among the options available on the 2018 Toyota RAV4 for sale in Montreal we should mention the dual-zone climate control, the navigation system with its 7” touchscreen and its JBL audio system with 11 speakers, the Dynamic Radar Cruise Control, the Keyless Entry system and the front-and-rear parking assist sonar. 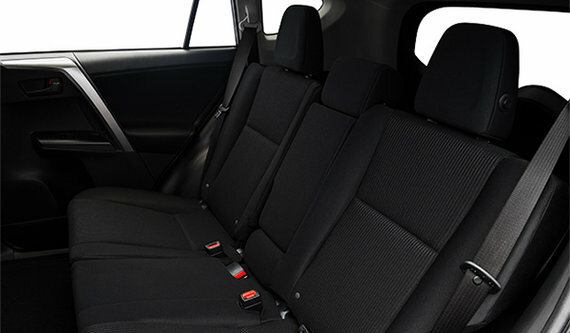 The cargo volume of the Toyota RAV4 2018 for sale in Montreal is impressive with a load capacity of 38.4 cubic feet behind the rear seats and 73.4 cubic feet when the rear seats are lowered. 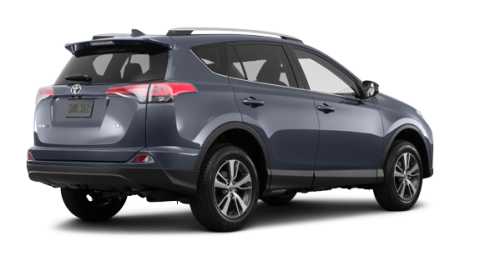 The power tailgate is available as an option on the XLE FWD/AWD and the AWD/hybrid SE and hands-free power back door is available on the RAV4 2018 Limited and the Limited Hybrid. With their 2.5-liter, 4-cylinder engine that develops 176 horsepower at 6,000 rpm and 172 lb-ft of torque at 4,100 rpm, the towing capacity of the new RAV4s near Laval is 1500 pounds. 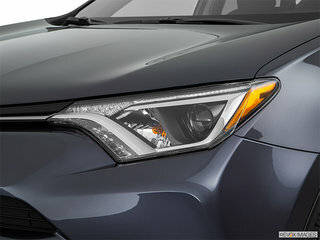 If only to satisfy your curiosity, stop at Spinelli Toyota in Lachine. 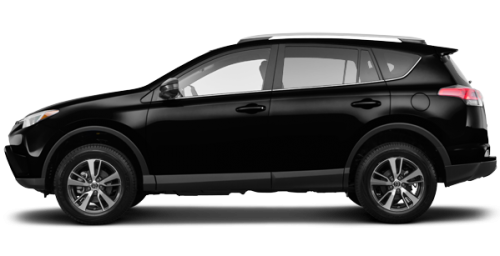 We are easily accessible, no matter if you come from the South Shore, by Highway 138 or Highway 15, or from Laval by Highway 13. 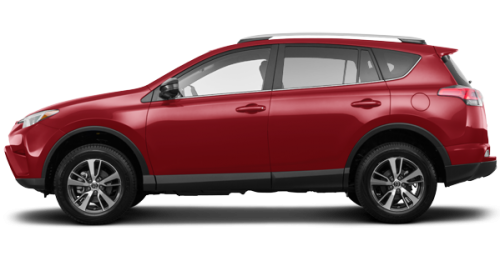 We also have in stock several used RAV4s and an excellent choice of used cars.